Summary: If you’ve read Kwame Alexander’s Booked or The Crossover, it will come as no surprise that both of his parents loved words and books. He writes in his preface of being raised on a steady diet of poetry, and he pays homage to his favorite poets in this book. 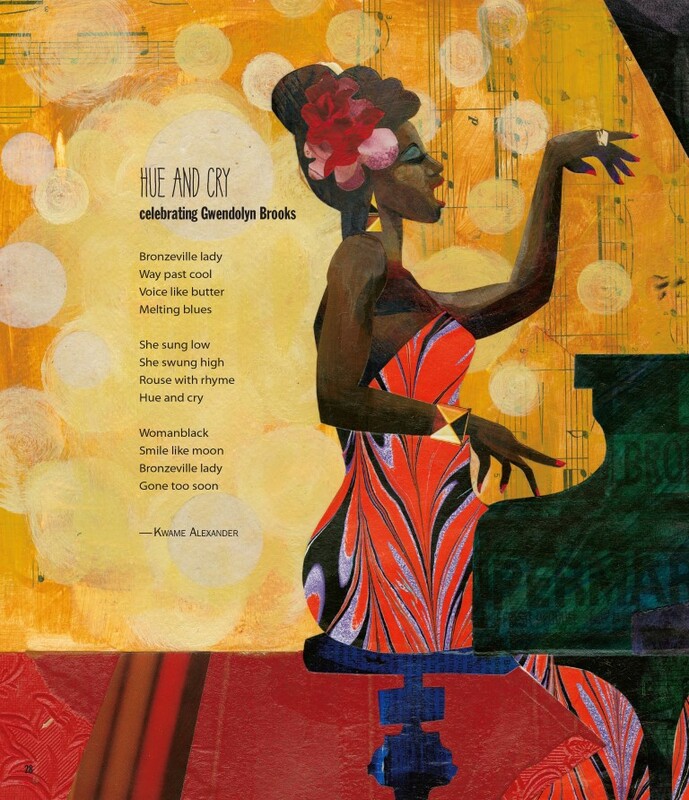 The 20 poems, written by Alexander and fellow poets Chris Colderley and Marjory Wentworth celebrate poets and their poetry from Emily Dickinson to Langston Hughes to Rumi. The last six pages give quite a bit of additional information about each poet. 56 pages; grades 3-7. 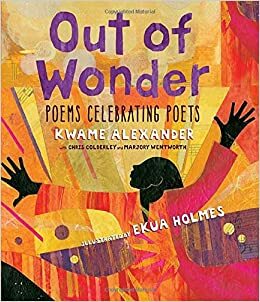 Pros: A wonderfully diverse collection of writers and poems, brought to life with color collages by Caldecott honoree Ekua Holmes. The second paragraph of Kwame Alexander’s preface would make a perfect introduction to a study of poetry, and the entire book could be used as a curriculum guide to introduce students to 20 different poets. Cons: Readers unfamiliar with the poets and their works may not appreciate these poems on their own. Summary: The door was once a huge oak tree. The stones were once underground. The window was once sand that melted into glass. A page of text and an illustration briefly explain where different parts of a house came from. Each is followed by a two-page spread showing the materials in their original natural form. A cat explores this outside world, meeting up with a bird, frog, turtle, and squirrel before coming back inside the cozy house. The author’s note to readers tells about her New England home and asks, “Where do you live? What was your home, once?” 40 pages; ages 4-8. 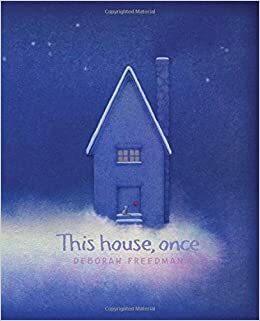 Pros: The dreamy illustrations will get readers thinking about the building materials of their houses and how they connect to the natural world. Cons: Seemed like a cold night for the cat to be out of the house. 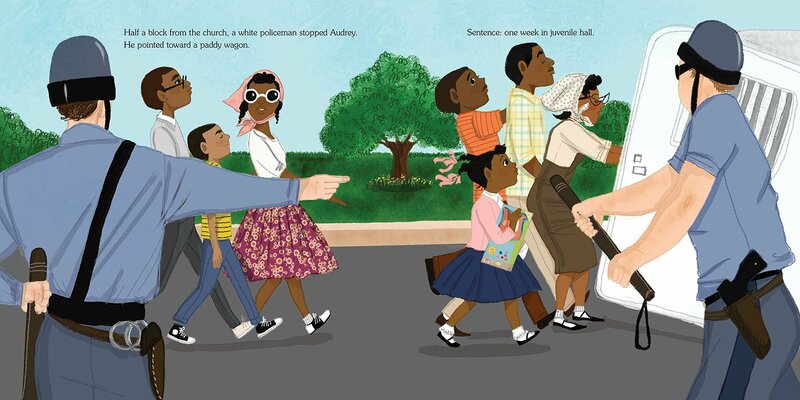 Summary: Growing up in Birmingham, Alabama, nine-year-old Audrey Hendricks heard talk of civil rights marches from dinner guests Martin Luther King, Jr., Frederick Shuttlesworth, and James Bevel. Audrey was eager to get involved, feeling the unfairness of having to use a dirty water fountain, getting worn-out books at school, and riding the freight elevator at the department store. When Jim Bevel called on young people to “fill the jails” by protesting, Audrey eagerly signed up. The youngest member of the march, she was quickly arrested with other kids and teens, and put in jail, where she stayed for a week. With bad food, an uncomfortable bed, and mean guards, it was a tough time for Audrey, but she was proud when, on the fifth day, she learned there was no more room in the jail. Their mission was accomplished, Audrey and the others were released, and two months later, Birmingham removed segregation laws from the books. Includes an author’s note giving more information about Audre, a timeline, and a recipe for the “hot rolls baptized with butter” that Audrey enjoyed for her first meal out of jail. 40 pages; grades 1-5. 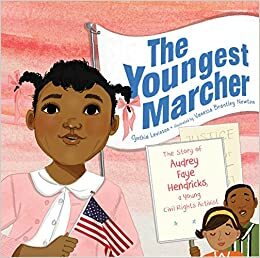 Pros: Cynthia Levinson draws on her research from We’ve Got a Job, her longer book on the Birmingham Children’s March, to tell this fascinating story for younger readers. Kids will connect with Audrey and be inspired by her courage and positive attitude. Cons: It’s pretty unbelievable that a nine-year-old spent a week in jail in 20th-century America. Summary: When Annabelle was ten years old, she threw almost everything in the bedroom out the window. Her mother’s hoarding had taken over every inch of space, and she couldn’t stand it any longer. Now, three years later, the rest of the house is worse than ever, but Annabelle’s room is almost empty. She checks it every day to make sure her mother doesn’t start stashing one of her collections in it again. 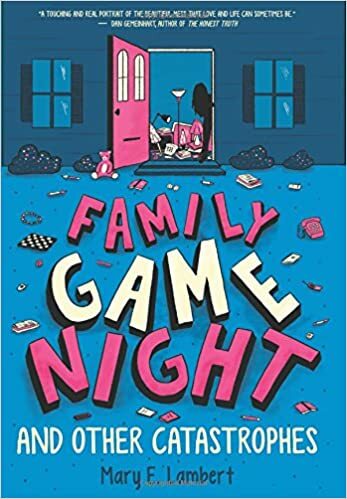 It’s her way of coping with a family spinning out of control, like her older brother Chad, who spends as much time as he can out of the house, and her younger sister Leslie, who tries to keep everyone else happy but is plagued by nightmares. Normally, her father escapes into his work, but when he discovers a Leslie’s folder of articles about hoarders who have been killed by their possessions, he leaves early on a business trip, warning that he won’t return until housecleaning is underway. The family is more in crisis than ever, and Annabelle realizes she can’t keep hiding her feelings and pretending to her friends that everything is fine. There are no easy answers, but by the end of the book, the family is taking their first cautious steps toward getting some help. 256 pages; grades 4-7. Pros: The author tackles a serious subject with a light touch. Annabelle’s voice is funny and strong, and her family is loving despite their dysfunction. Realistic fiction fans will find this hard to put down. Cons: As something of an anti-hoarder, I was pained by the description of the house. 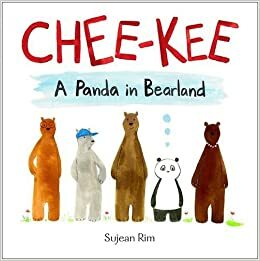 Summary: Chee-Kee worries about fitting in on Bearland when he and his family move there from the Island of Coney. There are all different types of bears in Bearland, but no pandas. Chee-Kee’s kite looks different, his hat looks different, and in all his bamboo-chewing life, he has never seen a fork. One day, while Chee-Kee is watching some other bears play soccer, he sees their ball get stuck up in a tree. He knows just what to do: using string from his box-shaped kite, he ties together several sticks of bamboo, and pole-vaults to the top of the tree. The last two-page spread shows an idyllic scene in Bearland with the pandas wearing sunglasses and skateboarding, and some of the other bears flying a box-shaped kite and fishing with bamboo poles. An author’s note tells of her own struggles as the daughter of Korean immigrants, trying to fit into American society. 40 pages; ages 4-8. Pros: What a great–and timely–message about the contributions of all cultures to a diverse society. Told in simple language with cute illustrations (they’re pandas, for heaven’s sake, of course they’re cute), this story will appeal to the youngest readers, but provides opportunities for discussions with older ones. Cons: Once again, key information–in this case, the author’s note–was printed on the back cover, partially covered by the taped-down library book jacket. Summary: Which American sporting event drew the biggest crowd in 1911? The World Series? An Olympic event? (Wait, there weren’t even any Olympic games in 1911). The Harvard-Yale football game? 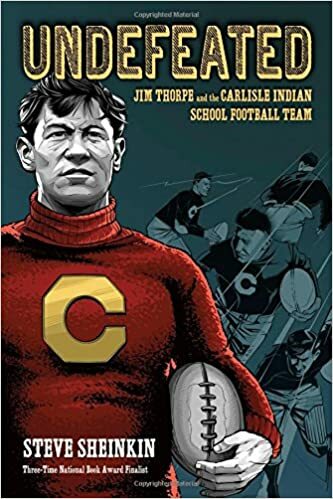 Well, you’re half right; it was the football match between Harvard and the Carlisle Indian School football team, starring Olympian Jim Thorpe. Final score: 18-15, Carlisle. You might know Carlisle Indian School as a place where Native American children were sent, often unwillingly, to be taught to assimilate into white culture. But it also had an amazing football team, coached by Pop Warner, that pretty much reinvented the modern game of college football. You might know Jim Thorpe as the Olympian who had to return his medals when he was discovered to have played professional baseball. But there is much, much more to his story, including an amazing football career at Carlisle that spanned seven years, and was capped by a win at West Point, playing against a team that included Dwight D. Eisenhower and Omar Bradley. The symbolism of the soldiers versus the Indians was not lost on anyone, and the story of Thorpe and the Carlisle school is also the tragic story of racism that Native Americans are still experiencing today. Includes 33 pages of source notes and works cited. 288 pages; grades 5-10. Pros: The stories of Thorpe, the Carlisle School, Pop Warner, and the game of football are all told in an engaging style that captures the reader’s attention from beginning to end. I bet we’ll see this book on the Sibert Award list, if not the Newbery. Cons: Although I attended every football game through high school and college as a member of the marching band, I am still too clueless to understand even the simplest schematic illustrating some of the plays described in the book. 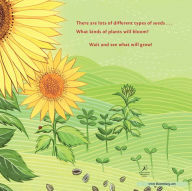 Summary: A dozen seeds are introduced with rhyming couplets and illustrations (“Shiny, brown. Bumpy crown. What will grow? Oak tree.”) Most of the seeds have the rhyme on the left-hand page with the plant shown on the right, but four have pages the fold out, up, or down to reveal the plant. The final couplet is, “Dark, deep, fast asleep. 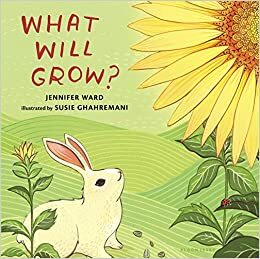 What will grow?” showing hibernating animals under the snow, followed by, “My garden!” over two pages of a colorful collection of plants blooming under a rainbow. All 12 seeds are shown at the end, along with the time to sow them, steps for planting, and when it will grow. The final two pages show four stages from seed to plant. 40 pages; ages 3-6. Pros: This follow-up to What Will Hatch? 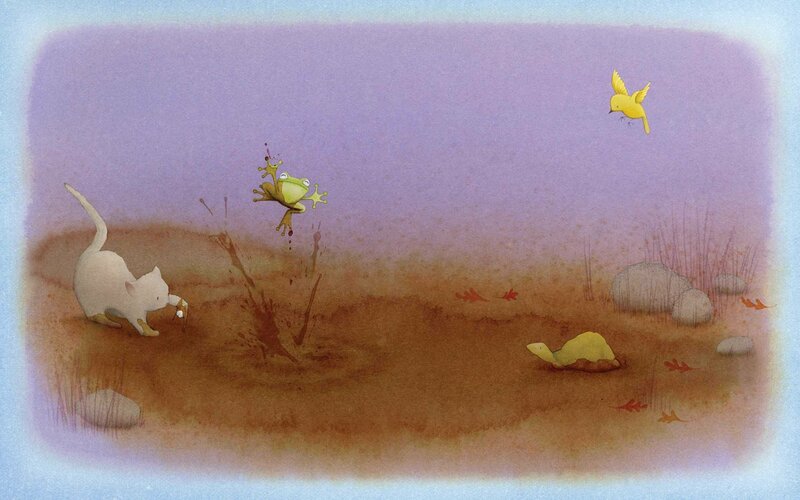 is a perfect springtime introduction to gardening for young readers. Cons: This seems like it could be a fun, interactive guessing game, except that eight of the plants are shown on the same page as the question.